Pictured Abilene, Texas father and son, John and Michael Miller who shot neighbor, Aaron Howard (right) during argument. 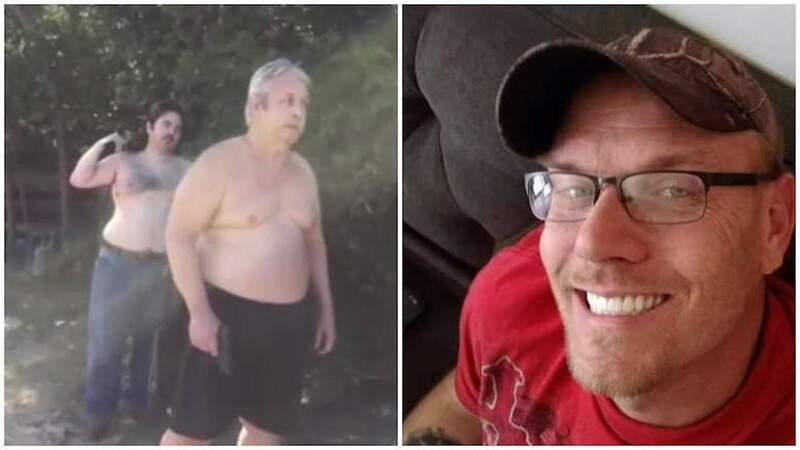 Video shows Abilene, Texas father and son, John and Michael Miller shoot neighbor, Aaron Howard during argument over trash in the alleyway. Stand your Ground law cited. Footage has been released showing the moments a Texas father and son executing a man following an argument over trash. Video shows Aaron Howard, 37 being shot by his West Texas neighbors, John Miller and the man’s son, Michael Miller, 31 on the morning of September 1. Abilene Police Department in a press statement posted responding to calls about shots being fired around 10.15am, with attending police arresting father and son on murder charges after the neighbor dying shortly after at hospital. According to Howard’s fiancee, Kara Box who was present during the confrontation, Aaron and his neighbors began arguing about a mattress which had been left in an alley behind Howard’s home in Abilene. As the three men proceeded to argue, Box began to film the ensuing episode (see below) which was handed to KTXS. Footage shows the both John and Michael Miller holding firearms. ‘You can see that I step between them and I said, ‘You’re not gonna shoot my husband’,’ the fiance told KTXS-TV. ‘People deserve to know what actually happened,’ Box says when asked why she chose to publicly release video footage. At some point during the back and forth, John Miller had claimed he had the right to bear his pistol after being threatened by Howard during their confrontation- utilizing the controversial stand your ground law. The law in Texas is designed to allow individuals the right to use lethal force in self-defense as long as the person has the right to be where they are being threatened, usually pertaining to one’s own property. Despite the legal doctrine many question the aptness of the law being abused as a pretext to unleash indiscriminate force by ‘trigger happy’ shooters. Aaron Howard was shot with both a handgun and a shotgun. He died at a local hospital. Aaron Howard Abilene shooting death: what price to bear arms? Box has since moved from the home from her deceased fiancee’s home. A dispute between neighbors turning into a deadly shooting. I am confident this is not what the framers of the 2nd amendment had in mind. This insanity must stop. Omg this Abilene, TX shooting is the most Abilene thing I have ever seen. Man yells at shirtless father and shirtless son while both are holding guns about dumping trash. So much MURICA.